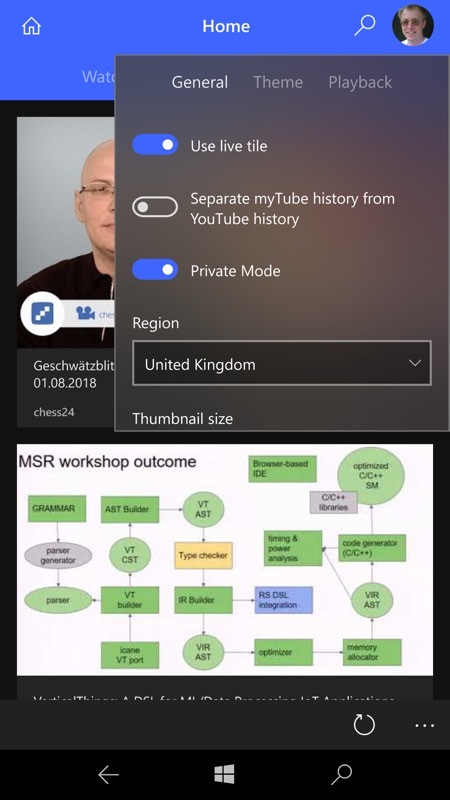 Private Mode is a toggle in your account panes - so it's not trivial to turn on and off quickly, but at least its state is clear; (right) 'casting' from one myTube app to another didn't work for me (I was trying phone to laptop), but hey, this feature is in beta, so let's have patience. The circular 'up next' indicator fills up and then the next video starts playing, just as on the web on your desktop. 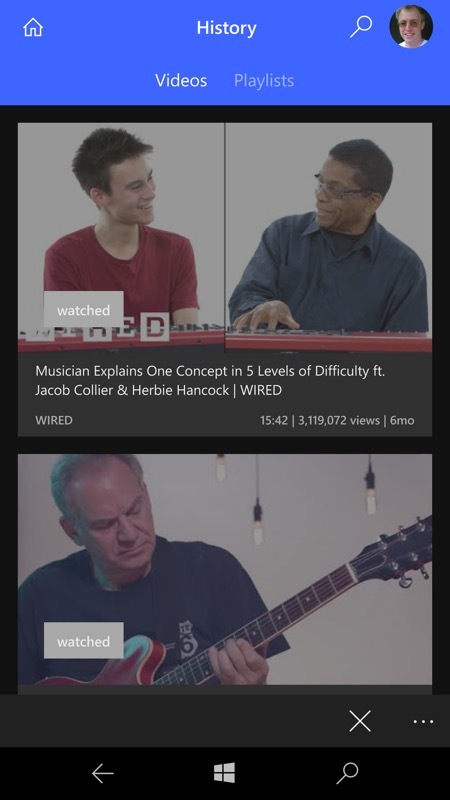 Pretty cool; (right) 'History' now has separate tabs for videos and playlists, a nice tweak. 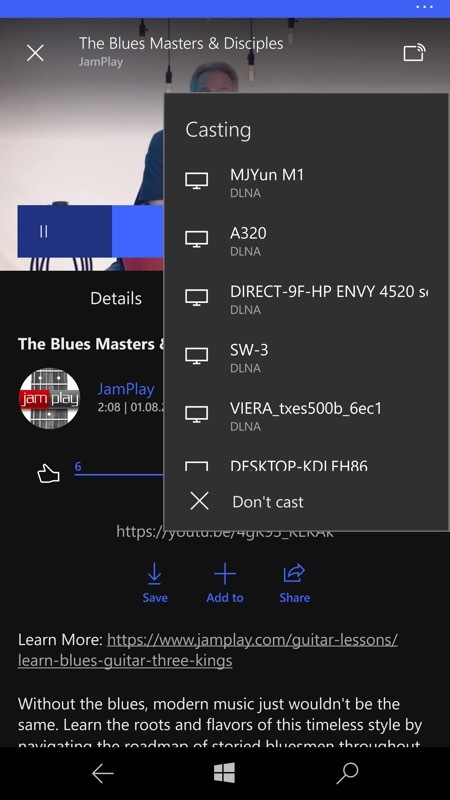 Note that the myTube to myTube casting seems only to work from desktop to desktop (or Xbox) - I couldn't get any of my phones to 'watch together'. Oh well. I gather there will be several minor bug fix updates following this, so fingers crossed. Another good upgrade to a useful Windows 10 UWP application, you can buy it here in the Store (it's only a dollar or local equivalent). 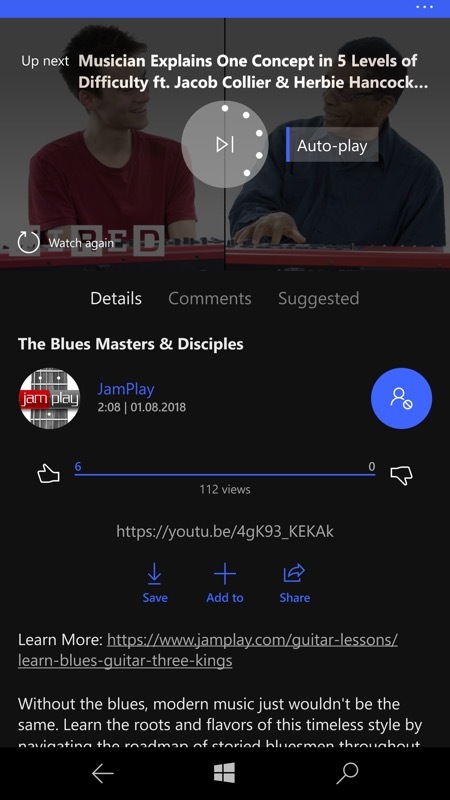 Yes, it's a blow to not have an official YouTube client from Google for the Windows 10 platform, but hopefully all users will find this (or one of the other top titles like Perfect Tube) quickly in the Store, making any omission somewhat moot. PS. I had playback issues with this version on my IDOL 4 Pro, so maybe there's stuff going on under the hood that's only been tested on Lumias? My 950 XL played videos just fine... Comments welcome.